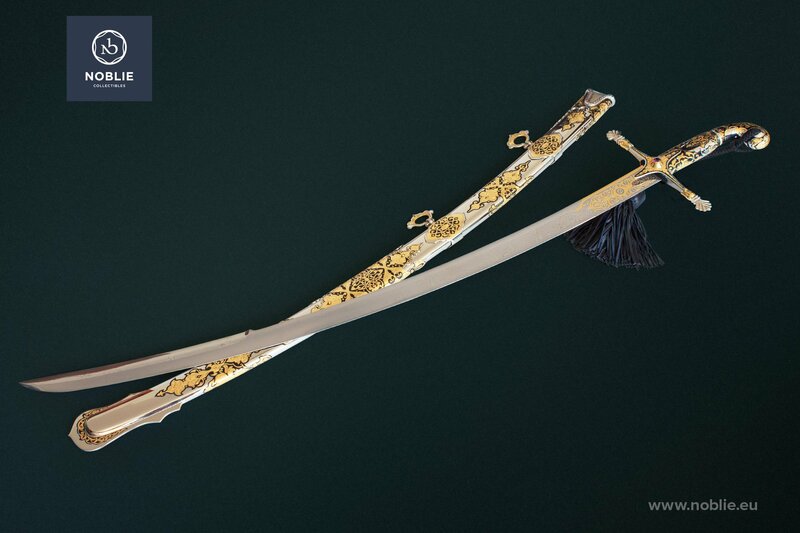 Designed and artistically adorned in 18-19th century Hussar saber style as a weapon for the light cavalry. 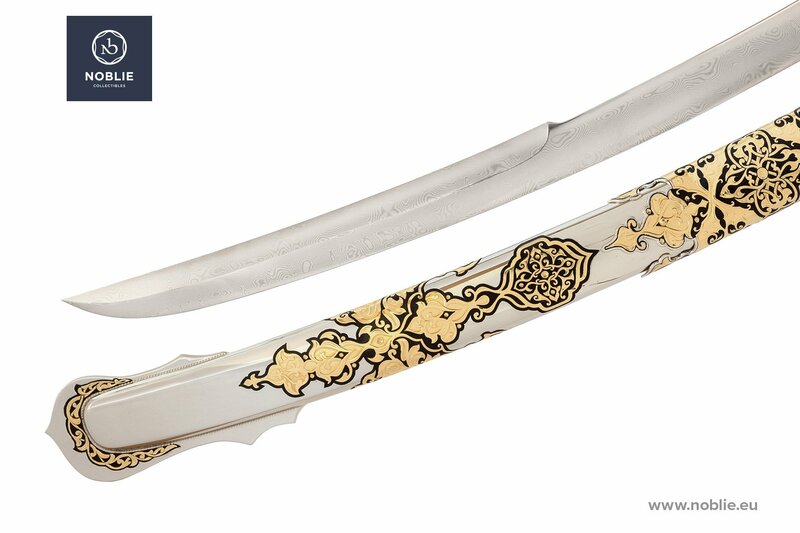 Produced by traditional methods of metalwork and decoration: forging, gold plating, nickel plating, leather processing, engraving, blackening, drawing and inlay. 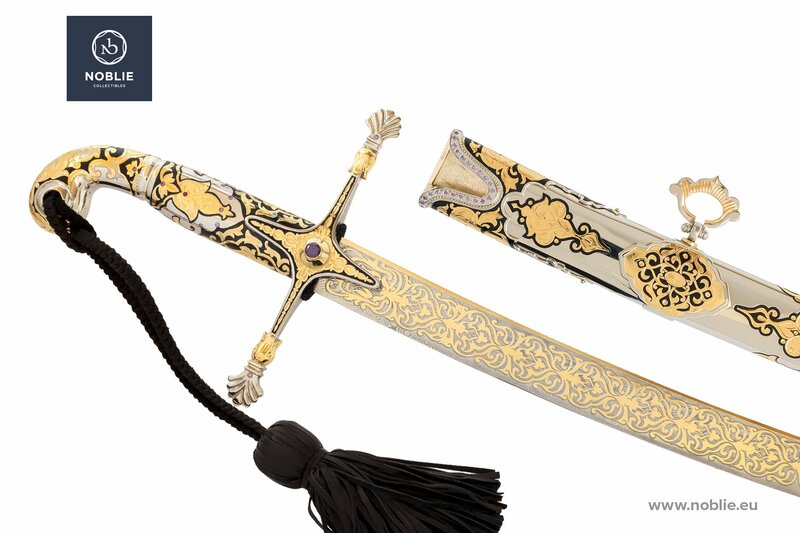 Blade of atmosphere resistant Damascus steel with engraved and gilded decorative ornaments. 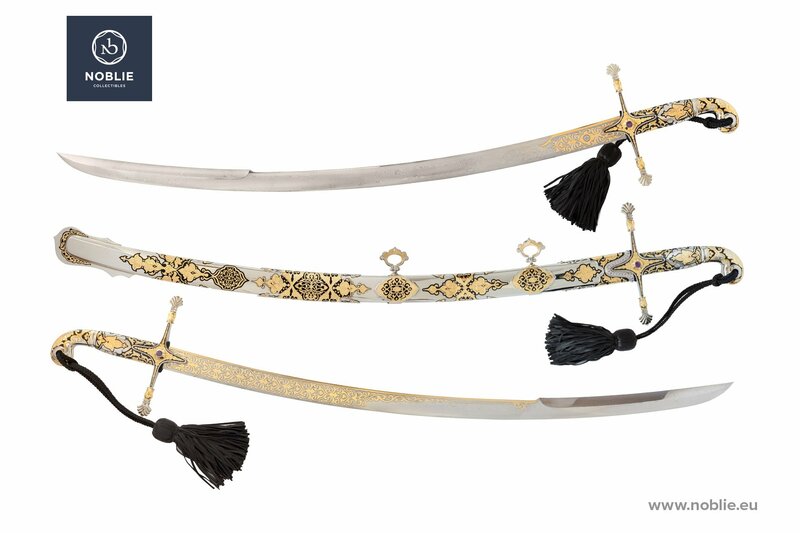 Handle of metal components, brass and gilded guard, grip and pommel with ornamental engravings and additional blackening decoration. Pommel in traditional ear shaped ending with hanging black leather tassel. Gross shaped guard, decorated with engraved and gilded ornaments. Lily ending of each quillion. 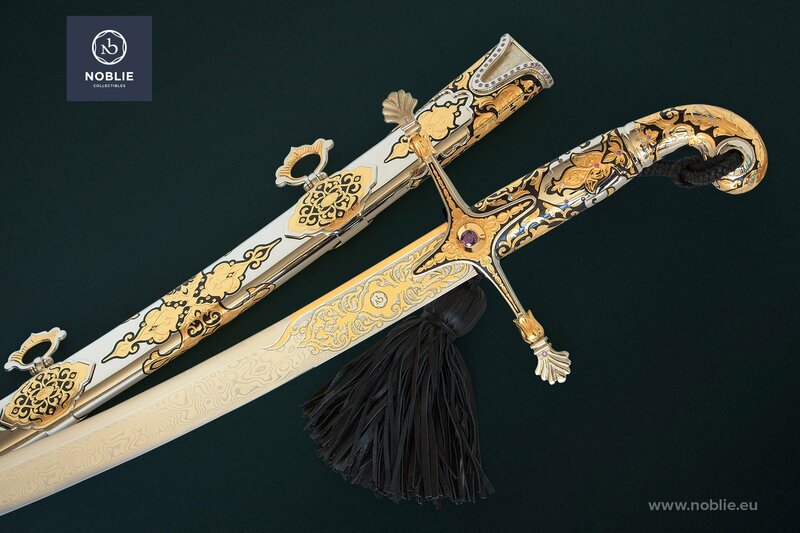 Gemstones inlaid on the grip, the quillions ending and the center of the guard. 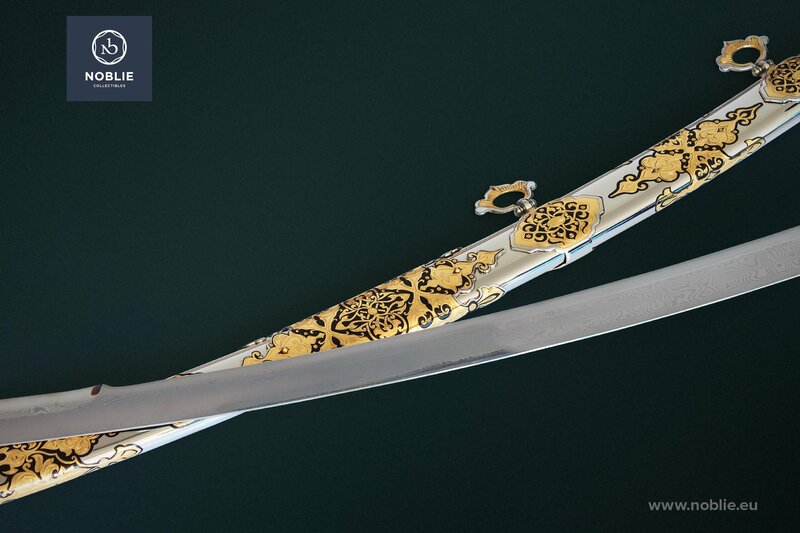 The scabbard is all metal forged and artistically adorned. Decorative mouthpiece, two lockets and stylish chape. Lily ornamental engravings, additionally gilded and blackened. Two lotus shaped suspension rings.